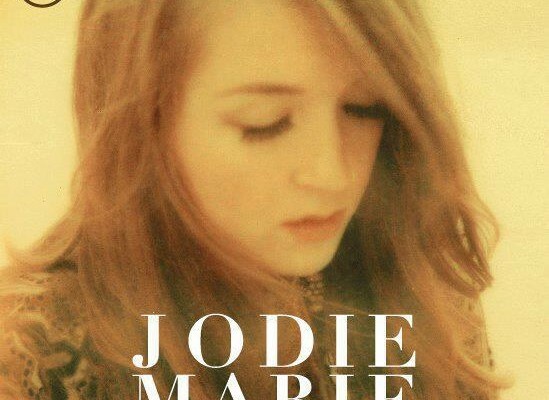 Tucked away producing / writing her second album for 2013 Jodie is setting standards that many will find hard to replicate. With powerful vocals, Bluesy influences and Soulful sounds she has the right combination, keeping it right on trend. The opening track on her Debut album ‘Single Blank Canvas’ gently picks you up and carries you on a journey through to the closing track ‘Mountain Echo’ leaving you wanting more. With many reviews by ‘The Independent on Sunday’ ‘The Daily Mirror’ ‘Bliss Magazine’ and ‘Daily Star Single review’ She’s already going places. Not to mention her performance with ‘BBC Sunday night sessions’ in 2012. There was a transfixing silence in the venue. She captured the attention of the whole audience. It was something quite magical. Also that night, we was blessed with her first live performance of ‘Losing You’. Before all of that, I caught up with Jodie and this is what she had to say. How do live performances compare to being in the studio? That’s a good question. They’re completely different when you think about it. At the time you’re still playing the same songs but like with ‘Bands in transit’ sessions you got to give your best performance there and then, everything’s got to be right. In the studio it’s like being in a cocoon. You’ve just got to feel every moment. The way I recorded my album was all live, with string over dubs and harmony’s. Do you get an extra high when you’re performing live? Yes. I think that’s nerves. I always am nervous but I think it’s healthy to be nervous. Being on stage gives you a feeling that’s euphoric, It’s an amazing feeling. What dream location would you like to do a gig? I played in a forest with Will Young before. It was his forest tour and he was playing in different parks within woodlands, that was amazing. So some sort of strange location like that. Had you done any live gigs before your demo CD was passed on to the record company? The record deal didn’t happen till 2010. I was 7 years old when I had my first live gig. I learned to play piano and guitar but my main focus at the time was singing. I never played my own stuff until I was 16. That’s when I showed people my music for the first time. The first songs I wrote was ‘Single Blank Canvas’ and ‘Numb’. Has living in Wales influenced your Début album ‘Mountain Echo’ ? Definitely. All the time, it’s amazing. Especially here in Pembrokeshire there are so many places you can really soak up the atmosphere. Druidstone I absolutely love it’s so quiet. Once you down below the cliffs you could be the only one there for hours, it’s just nice being absorbed. On your Début album ‘Mountain Echo’ is there a golden track for you? Every single one means something because they’re all my own experiences. The one that catches me every time I play it is ‘Greeney-Blue’ it means a lot to me. The other one is ‘Mountain Echo’ when I play that I get quite emotional. The thing is when I first wrote ‘Greeney-Blue’ it still has the same meaning but I learn more from it every time I play it. The most memorable gig / festival for you? Secret Garden Party was brilliant. The stage was built into a tree it was just an amazing gig. You supported Ben Howard in Clwb Ifor Bach what was that like? It was an amazing gig. That night I went to another gig where he was performing and we had a chat afterwards. He’s such a nice guy. You’ve also toured with Will Young, how was that? I think the world of Will Young, he’s such a nice guy and down to earth. He came to the side of the stage and he was singing the words to my songs. I really respect him for that. What else do you enjoy besides music? I love being outdoors. I can’t surf to save my life but I like to try. I love getting thrashed about in the water. I love kayaking and when you see the seals it’s amazing. Walking round the cliffs, being on the beach with friends. I love boats too, it reminds me of being a kid. My parents used to take me out on theirs. We used to have weekends on it and loved the feeling of being rocked to sleep. What’s been happening for you lately and what’s lined up for 2013? I’ve written a Christmas song in English and Welsh ‘The Night Before Christmas’. It’s been translated by the lovely Caryl Pary Jones from BBC Radio Cymru. I can speak fluent Welsh but I’m no good at translating it, it’s an art. I’ve been writing lots of new material for my second album. That’s my main focus at the moment. I’ve got a lot of songs already but I want to write more so I can really narrow it down and say this is exactly how I want it to sound. I want it to be just as special as the first album. Not just put something out for the sake of it. What sound will your second album be? It’s going to be a bit more Bluesy and soulful. I had a massive upbringing on Blues and I’ve always loved it. There is hints of it on ‘Mountain Echo’ even though I love my Début album and I’m very proud of it, I feel now I’m finally finding the route I’ve always wanted to go down. Would you consider Remixing your music or even producing mainstream pop? I’ve always said I don’t want to be famous I just want to be known. I want to be happy with the music I’m writing and happy for it to go out myself. However ‘I Got You’ has a pop sound and it’s quite contemporary. Final words of encouragement? Always be true to yourself and never forget why you’re doing it. Always remember what makes you happy within music. Not that you ever have a clear idea of what you want to do, I never did. I just had an idea of where I wanted to go and how I wanted to sing. It’s really important to be true to yourself. Just gig loads and try to get your name out there, in the most organic way you can. It all helps. What would you like to say to your fans? Thank you, a massive thank you. Especially to my home town. I definitely wouldn’t be where I am now if it wasn’t for them. They have really supported me. The whole of Wales have been backing me all the way. Thanks to everyone who’s bought the album or even just supported me. As well as Jodie Marie and everyone involved I would like to also add a special thanks to Span Arts, Swn Festival and Queens Hall Narberth. This entry was posted in Interviews and tagged Jodie Marie, Mountain Echo. Bookmark the permalink.